On-site Registration Begins – May 2 from 10am-5pm, May 3 from 9am-5pm. 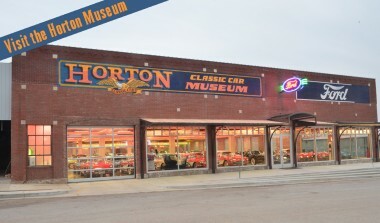 Nocona, TX Activities / ToDo Join Vicari Auction in Nocona, the Classic Car Capital of Texas. Nocona, voted one of America’s most fun small towns, has undergone an architectural revitalization in its downtown business district. New and repurposed buildings have brought the city to life and turned the charming town into a lively tourist attraction. Wildcat Pete Horton and his wife Barbara keep their vast 120-car collection on display in several 50’s era buildings in the town center that will be available to tour during the event. 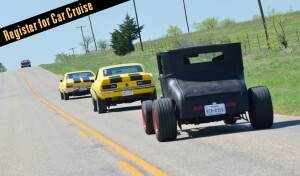 The 2019 Cruisin’ Nocona will be holding a three day event consisting of a Classic Car Poker Cruise, daily car shows and two full days of collector car auctions. Cruisin’ Nocona gets rolling Thursday May 2nd at 10:00 am with a “Starting Of The Engines” by Mayor Robert Fenoglio and a 3:00 pm “Parade of Classic Cars” that afternoon. 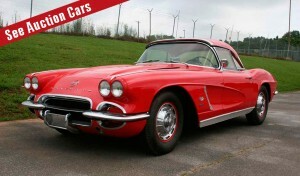 Vicari’s Classic & Muscle Car Auction will run on Friday and Saturday, with gates opening each day at 8:30 am.